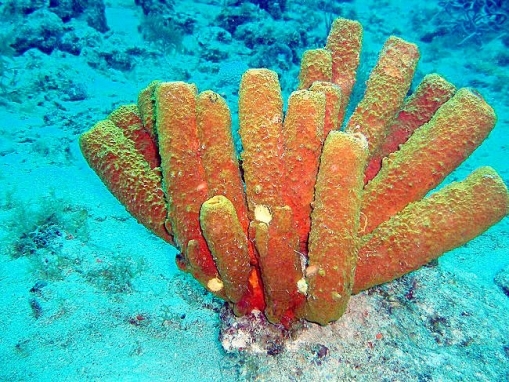 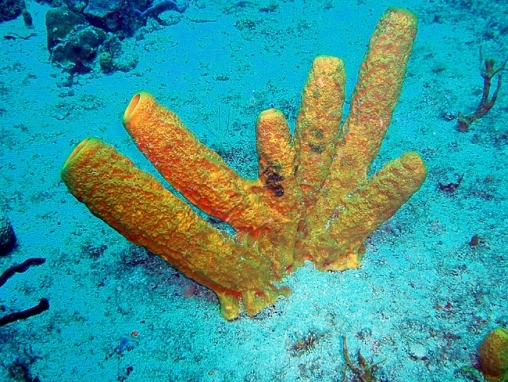 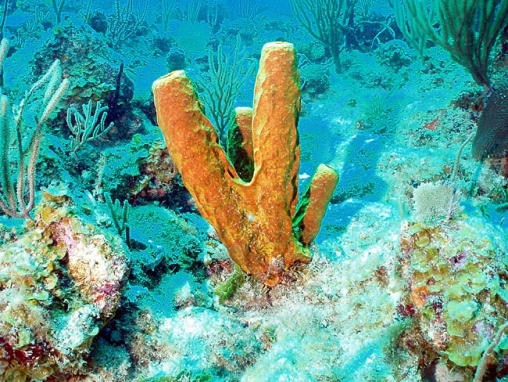 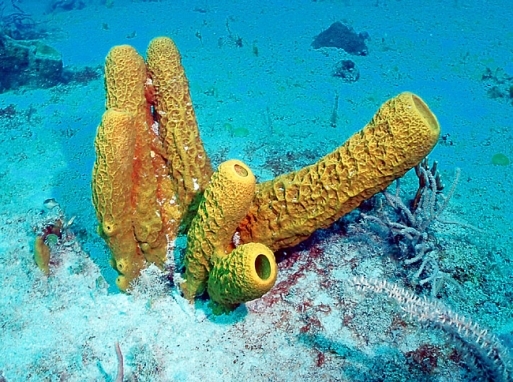 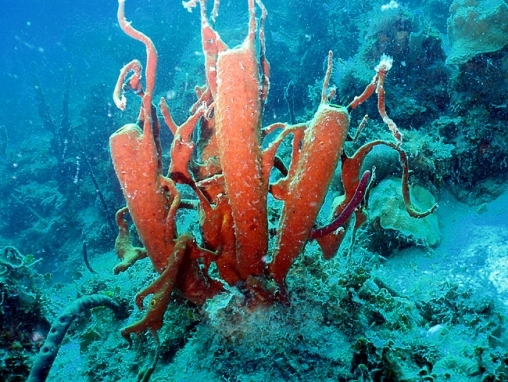 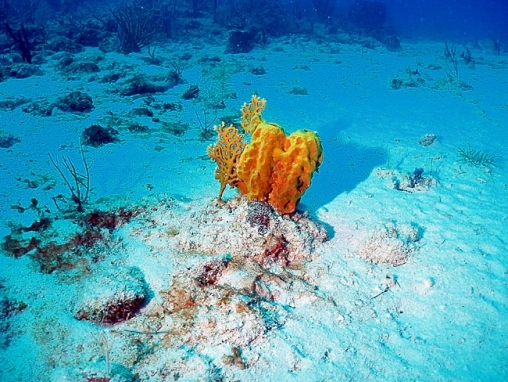 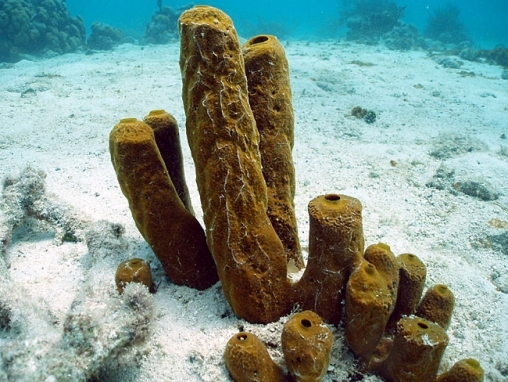 Large yellow or golden tubes, each tube rarely more than 30 cm in clear water, reaching 50 cm tall in turbid reefs, in clumps of up to 20 columns. 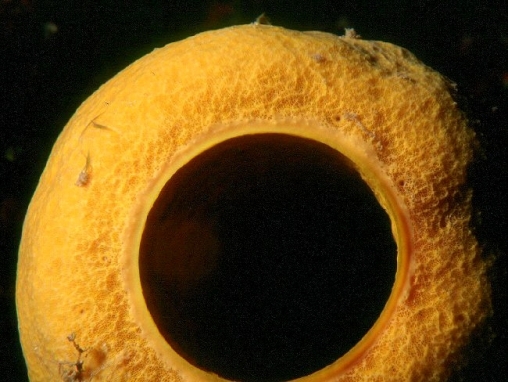 They arise from a common base. 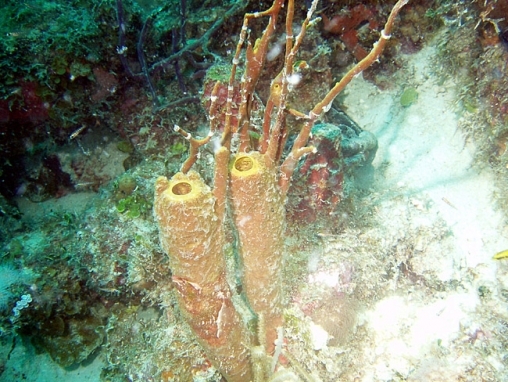 While they may be fused for their first 10-20 cm, they do not branch. 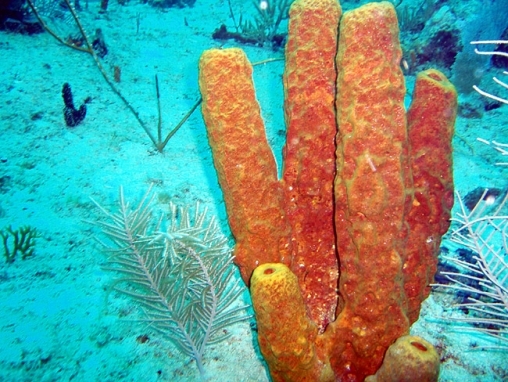 Their apertures are wide, and walls are relatively thin. 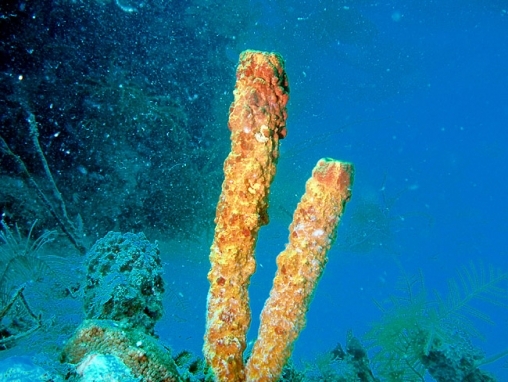 The outer surface has pronounced ridges. 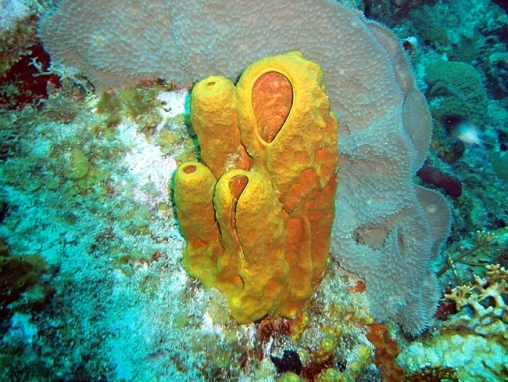 This species may show some irregular projections and tendrils branching off from the tubes, but nowhere near as much as A. insularis, and it does not develop the tendency of the latter to develop ’ropes’.